My kids have a love affair with European cities. Piper Jane is team Paris and Burke lo-oves London. So a map covered monogram with a twist- London Tube maps- is the perfect addition to the Smooches’ shared room (see my plans for that space here). A sweet friend who is living in London sent me a whole pile of Tube maps (thanks Erin!) so I could create this map covered monogram for Burke. 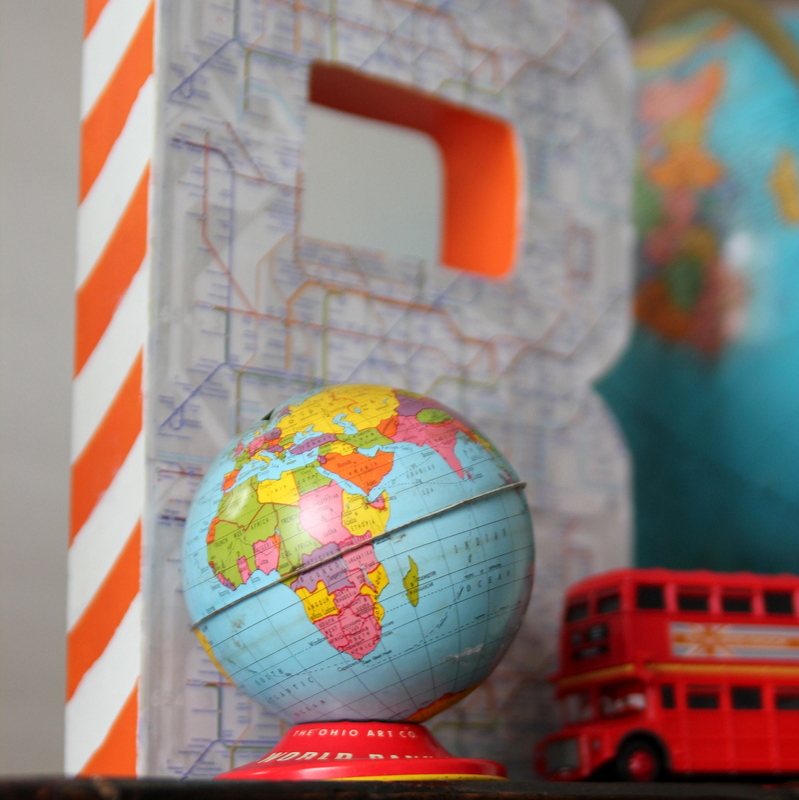 Doesn’t it make you want to find a monogram and cover it with maps from somewhere special to your family? 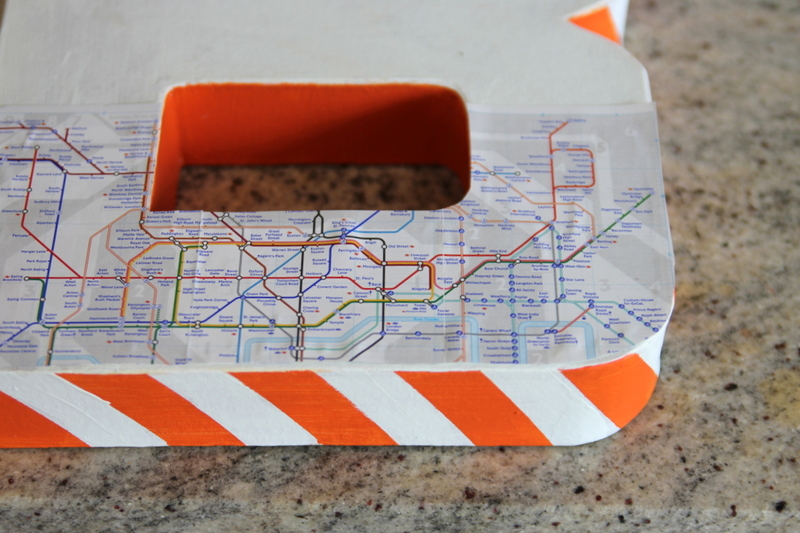 To create a map covered monogram, you’ll need– a cardboard monogram (I got mine at JoAnn’s), a map (or a few maps- I used four London Tube maps), paint, tape and glue. Paint the front of the monogram white (or a color that’ll match with the edges of your map). 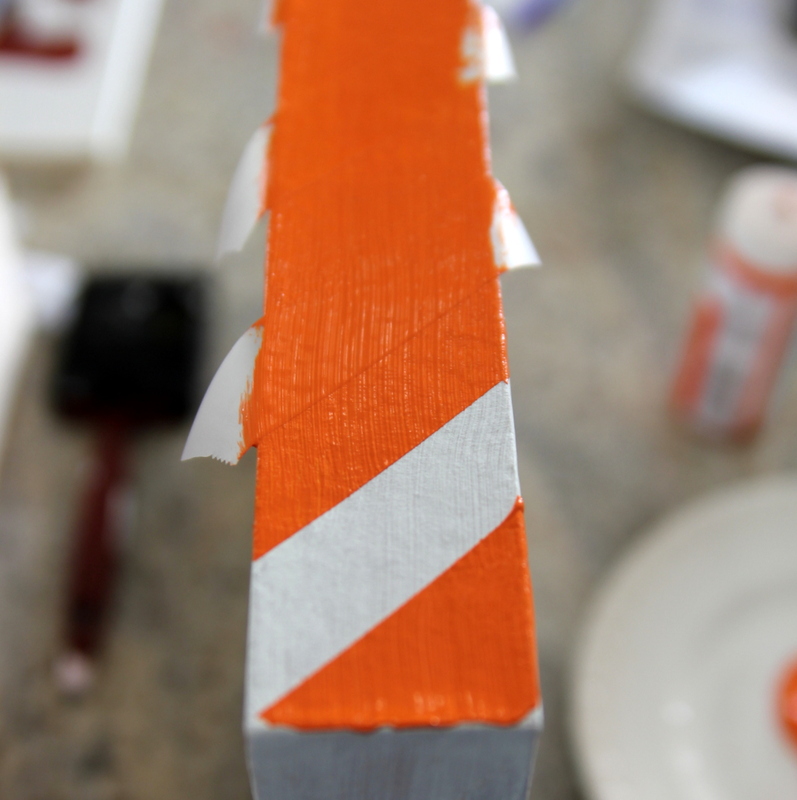 If you’re adding stripes (or a contrasting color) to the edges, paint it on. 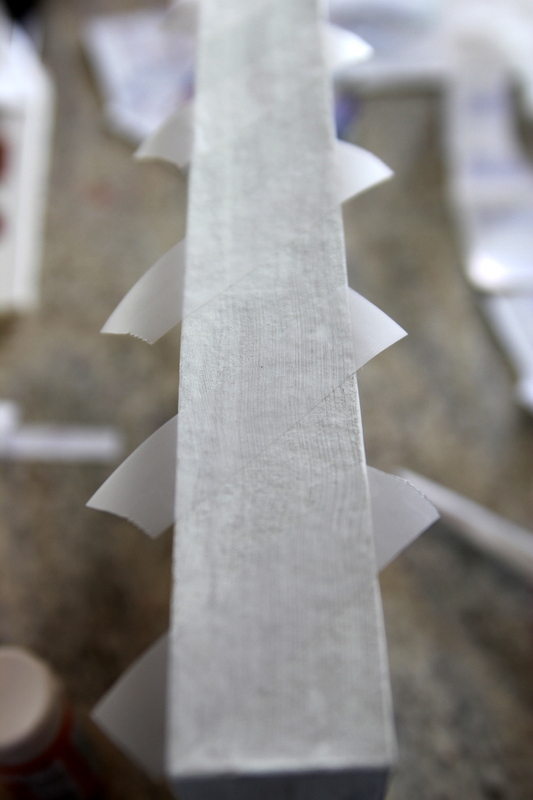 To add stripes, put tape on the white and then add colored paint. Trace your monogram onto the backside of your map(s). 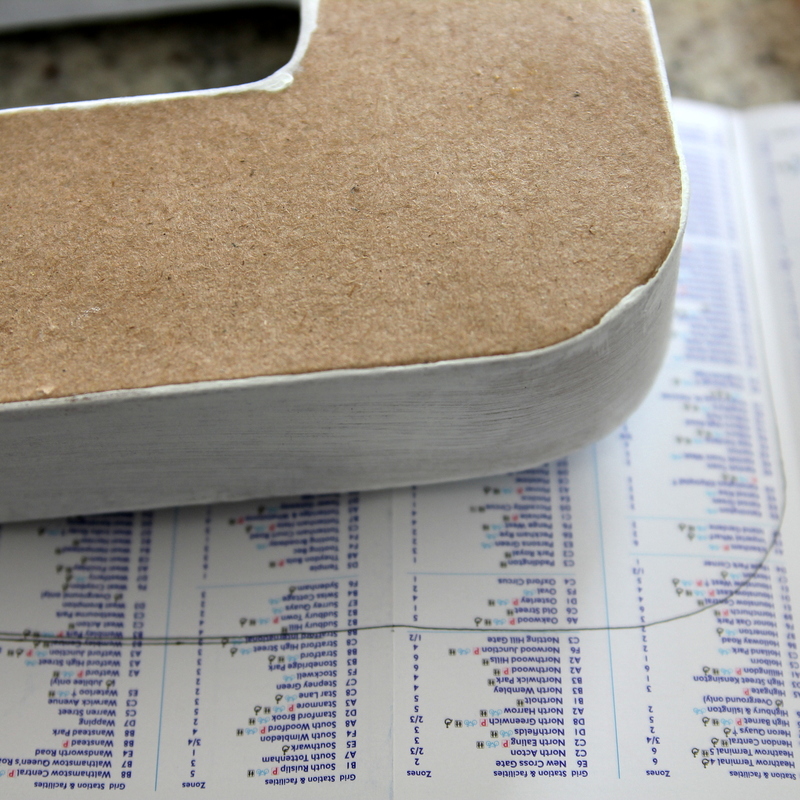 Cut out your maps to match your monogram and glue in place. 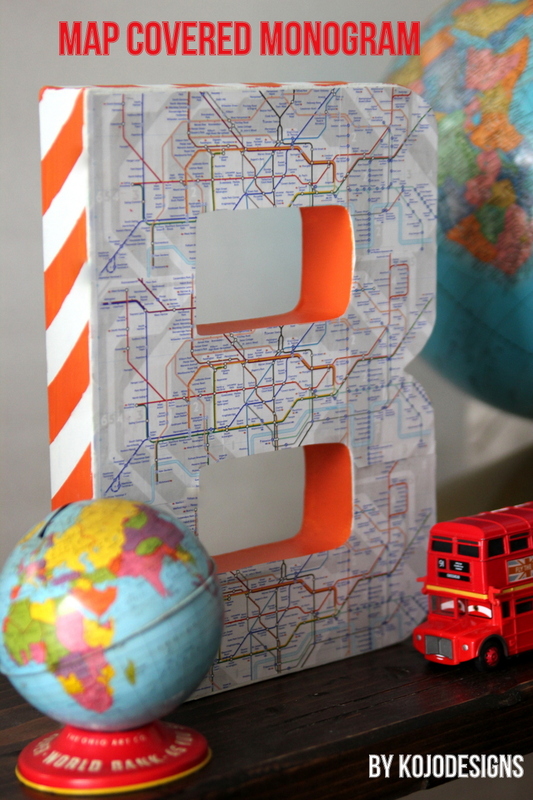 Give your London-lover his Tube-map-covered monogram (spoiler alert- he loves it). ps- I have been dragging my feet about working on house projects, just feeling burnt out and unmotivated. But finishing this first project for the kids’ room has lit a fire under me- I lay in bed at night thinking of ways to make their reading nook magical, or ways to make a “P” that’s similarly perfect for Piper Jane as this “B” is for Burke. Does that ever happen to you? You’re dragging your feet about something and then, once you start, it’s kind of fun after all? It’s adorable — the diagonal stripes are perfect. Sorry you’re feeling burnt out and unmotivated. Give yourself a break — we’ll understand if there’s a break in your action and be here when you’re ready! So cute! I have an M (for our last name) that I’m trying to do something with. Maybe I should go the map route! PS, YES I go through burn outs constantly. Sometimes doing the project get me out of it, but other times it’s just good to take a little break and rest 🙂 I’m glad you got your crafty groove back! Jen, I love that idea for your M.
Kelly from http://www.sewinginnomansland.com just moved to Paris. I bet she’d send you a couple maps for Piper’s P.
Love this idea! So fantastic! I love anything map related – this is awesome. so cute! i bet they love them!! I feel like that too. Your brain is buzzing with ideas, but then actually executing them feels like a chore. But then once you get started, you can’t wait to see it finished. I emailed you the other day, but not sure if you got it, about a tooth fairy pillow. Y’all are the craftiest people I know and am looking for advice on a project. If you have time I would love to pick your brain to figure out how to do this project. And thank you for your sweet comments on my blog. I appreciate it so much and love hearing from you! I’m just seeing this now and it looks AMAZING!! 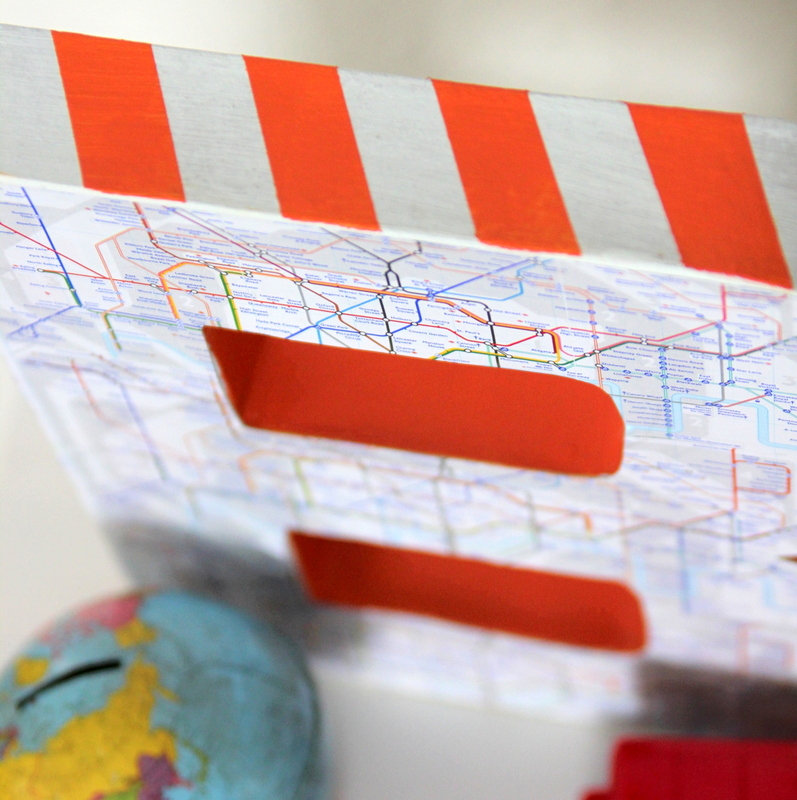 It’s so super fun, the size of the letter shows off the map perfectly, and the stripes are just the perfect accent. I bet he loves it!! Oooooh, love the DIY tip. Love this map monogram! Love London (and Paris for that matter) too. So cute! And I really have to search for some of those globe banks…if they can still be found. 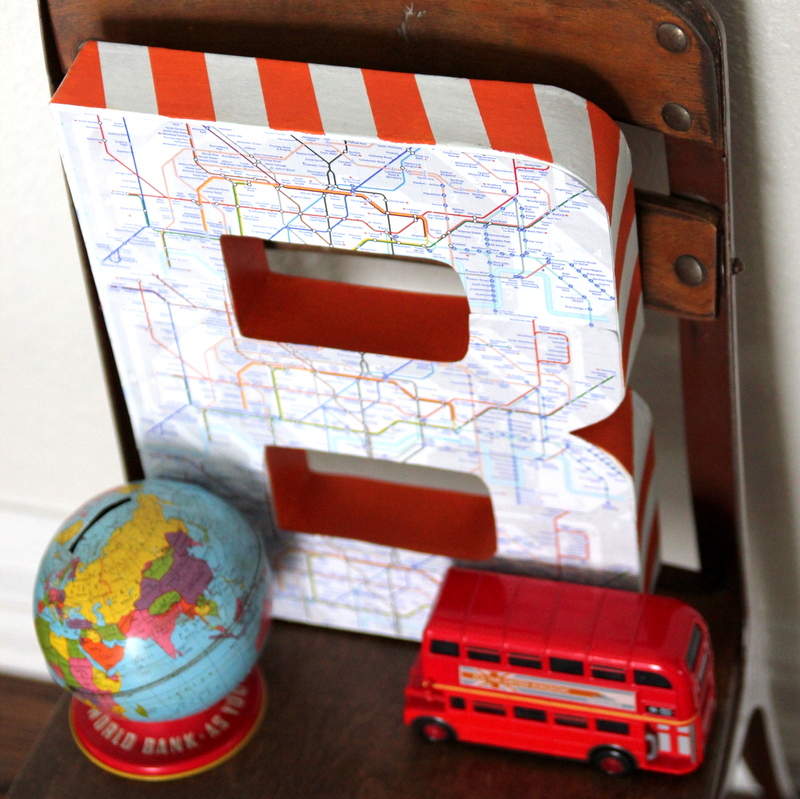 I love the Map Covered Monogram which would make a great project next time my nephew comes to spend the night with me. I think this could pass as a “boy” project. He enjoyed a string art project the last time he came for a visit, and left a happy & proud young man. I`am a new comer in blog. And I hope to make a good relationship with other bloggers. I hope we can be a friend in the future.